CAMP PENDLETON — With tensions heightening between China and Japan recently, the 10th annual Iron Fist training exercise, which held its opening ceremony on Monday, is taking on extra significance for the members of the Japanese Army’s Ground Self Defense Force. Iron Fist is a bilateral training exercise designed to increase interoperability between the 1st Marine Expeditionary Force and Japanese Ground Self Defense Force. The month-long training will include a series of exercises conducted on Camp Pendleton, Twentynine Palms and San Clemente Island, concluding Feb. 27. Brig. Gen. Joaquin F. Malavet, deputy commanding general of 1 Marine Expeditionary Force used words as “important,” “purposeful,” “meaningful,” and “symbolic,” to describe the exercise in front of the Japanese forces and the 13th MEU (Marine Expedition Unit). “It is also important to recognize that the value of our training and cooperative actions, no doubt, have strategic importance,” he said. China and Japan have seen escalations in tensions in the past year over a number of uninhabited islands in the East China Sea, which each country says belongs to them. “We have a very special relationship with Japan based on shared national interests and a shared belief that with Japan, a strong U.S. presence in the Asia Pacific, has for over 70 years, guaranteed regional stability and security,” Malavet said. There are more than 50,000 U.S. service members that call Japan home, and which includes the only forward-deployed aircraft carrier, according to Malavet. 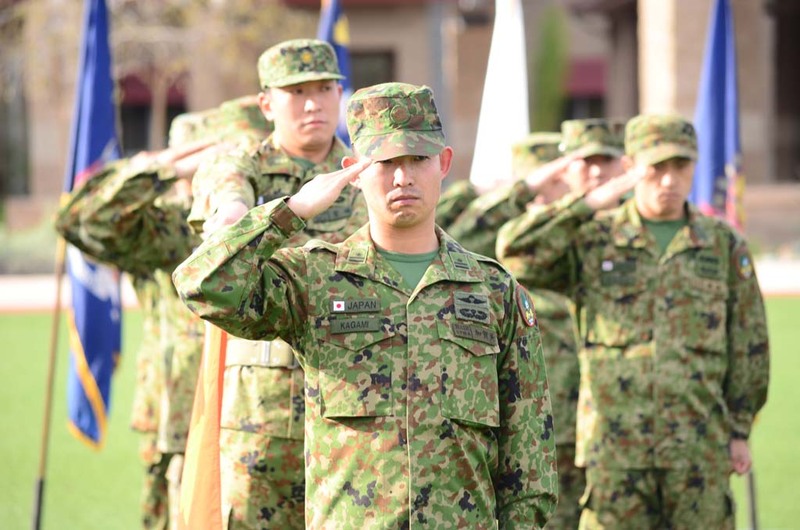 Goto said that over the 10 years in this program, the Japanese units have benefited from the training environments Camp Pendleton and the other locations offer. “We don’t have such a good training area as this and we have benefitted from that aspect,” Goto said. “The other thing is working with the Marine Corps and the Navy, we’re able to learn about their doctrine, their organization, their equipment and we have also a lot to learn from their battle tactics, as well,” he said. “This training has been a trigger to a lot of programs in Japan, it’s been improving our joint training capabilities,” he said. Another benefit of the program, he added, was the purchasing of military equipment and vehicles. But Sgt. Maj. William Slade of the 13th MEU said the exercises benefit the young Marines, too. “It’s a good opportunity for our small unit leadership to interact with our partner nations’ small unit leadership, and not only for cultural exchange but also to learn TTPs (Tactics, Techniques and Procedures) and share experiences,” Slade said.